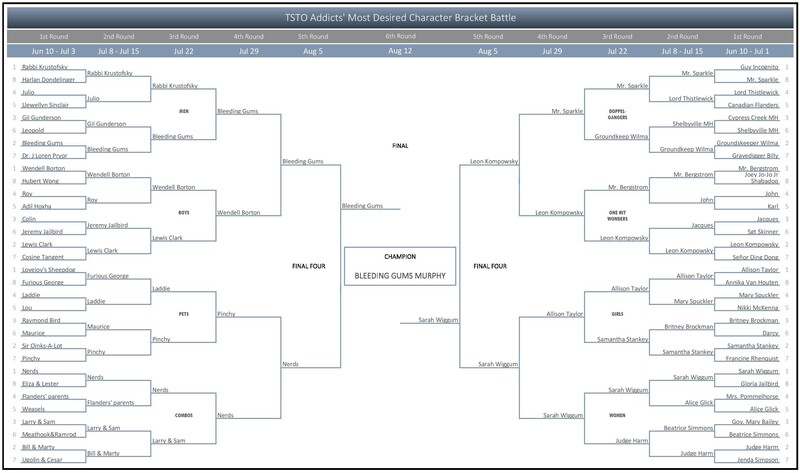 Addicts Bracket Challenge: Most Desired Character – A 30 Month Retrospective! Two and a half years ago yesterday, we saw 73 characters (64 including 8 combos) not yet in our games battle it out in 10 weeks of vigorous head-to-head matchups, we crowned the winner of the very first Bracket Battle on August 19th 2016 in this post here. However, over the past two and a half years, we have seen many of those 64 characters enter our towns. So let’s take a look back and see just how much the game has changed over the past thirty months. Addicts Bracket Challenge: Most Desired Skin, Week 9 – The Finals!! !